A narrowed cervical spinal canal is a diagnostic conclusion that confirms central spinal stenosis in the neck. Demonstrating a narrowing of the cervical vertebral canal is commonplace as we get older and should be no surprise to anyone past middle age. The spinal structures in the neck suffer deterioration as a normal part of their lifespan. Intervertebral discs desiccate and herniate, bringing vertebrae closer to one another. Vertebral bones change due to increased friction and the development of osteoarthritic alterations. The very curvature of the cervical spine might also change over time. All of these factors can narrow the central canal space, potentially causing spinal stenosis in the neck. This guide examines the reasons for a narrowing in the central cervical spinal canal, as well as the potential consequences of these structural changes. We will provide an objective viewpoint on the tissue changes to help anyone who has been diagnosed with central canal stenosis make better choices when it comes to finding effective remedies for any related pain or neurological symptoms that might be experienced. The central canal, also called the vertebral canal, consists of the collective hollow spaces formed within the natural design of each vertebral bone. 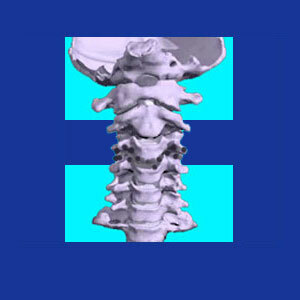 In essence, the spine is hollow and the canal runs directly through the middle of each vertebra. The vertebral bodies and the intervertebral discs reside on the anterior side of the central canal, forming the front of the canal tunnel. Meanwhile, the remainder of the vertebral structures, consisting of the pedicles, lamina and various processes, form the sides and posterior of the vertebral canal tunnel. Inside the central spinal canal, many tissues exist, including the spinal cord, the nerve roots, several membranes filled with cerebral spinal fluid, ligaments, blood vessels and other structures. The central canal is designed to be more than large enough to accommodate all the tissues contained therein. However, due to many possible causes, the diameter of the canal can decrease, leading to the subject of this exploratory article: a narrowed cervical spinal canal. When the canal space reaches the level of possibly compressing neurological structures, the condition is usually diagnosed as spinal stenosis, which can be a very serious condition when it compresses the spinal cord in the neck. Congenitally narrowed canals exist from birth and may be caused by many known and idiopathic factors. Congenital canal narrowing comes in all degrees, ranging from mild and inconsequential to almost completely blocked, often causing immediate spinal cord damage prior to birth. Normal and accelerated spinal degeneration will cause the central canal to narrow as part of its typical aging process. When intervertebral discs desiccate and vertebrae suffer arthritic changes, the central canal might narrow generally or in focal sections that may become acutely stenotic. Changes in spinal curvature can narrow the effective size of sections of the vertebral canal. This is true for side to side curvature, such as rare cervical scoliosis, as well as for much more common examples of hypolordosis and hyperlordosis in the neck region. Vertebral fracture and compression fracture are primary causes of acute canal narrowing in many instances. In fact, traumatic injury is cited as a main contributor to canal narrowing in many patients, since it can also affect the integrity of the spinal discs and ligaments. Ligamentous hypertrophy and ossification can both cause a narrowing of the vertebral canal space in the neck. Although narrowing of this precious canal space seems like a terrible diagnostic conclusion, the truth tells that a decrease in the diameter of the cervical and/or lumbar spinal canals is actually completely normal and expected as people get older. All the universal aging processes that act on our spines will have the potential to narrow the central canal, usually to a mild to moderate amount, over many decades of life. Luckily, the space is usually more than large enough to continue to provide the needed space for the spinal cord and nerves to function adequately, despite being a “bit crowded”. Statistics show that most diagnosed cases of cervical spinal stenosis are not symptomatic, nor will they progress to the degree of causing serious, if any, symptomatic expressions. A minority of cases of significant canal narrowing can cause symptoms, ranging from pain to widespread neurological deficits, resulting in difficulty performing physical tasks, the inability to stand, sexual dysfunction and incontinence. Luckily, even in these worst case scenarios, these tissue changes occur slowly and predictably, over time, and rarely become acute presentations, except in cases of focal trauma to the central canal. Our experience shows that most cases of minor and medium level stenosis do not require treatment, nor will they generate any substantial symptoms. These conditions should be closely monitored by a trained neurologist, however, to insure continued functionality of the nerve structures. A few cases of stenosis will continue to progress to symptomatic and even disabling degrees and these are the conditions that benefit most from surgical interventions. It must be noted that many stenosis surgeries are performed early, as preventative measures, but statistics once again demonstrate that many of these operations are not necessary. In many patients, there is no evidence showing a continuing progression of stenosis that will inherently become symptomatic and symptoms, if present, often do not correlate to the expected presentation, indicating other possible reasons for the pain to exist. It is for this reason that we continue to recommend caution when seeking treatment recommendations for minor or moderate stenosis that is deemed to be the origin of severe symptoms. It is best to seek multiple opinions from several different types of doctors before accepting the diagnosis. It is also best to seek several opinions on the best course towards therapeutic relief, if and when treatment does become a necessary path. In summation, the best news is that for correctly diagnosed cases of stenosis in the neck, surgery generally does resolve the problem and restore full or virtually full functionality. However, when the symptoms are unjustly blamed on minor degrees of canal impingement, the results are often disappointing, since the true underlying symptomatic process has obviously remained untreated, while unneeded surgery has cleared what amounted to an innocent and normal degree of canal narrowing.